Why Magento is the perfect eCommerce platform for your online B2B business growth? 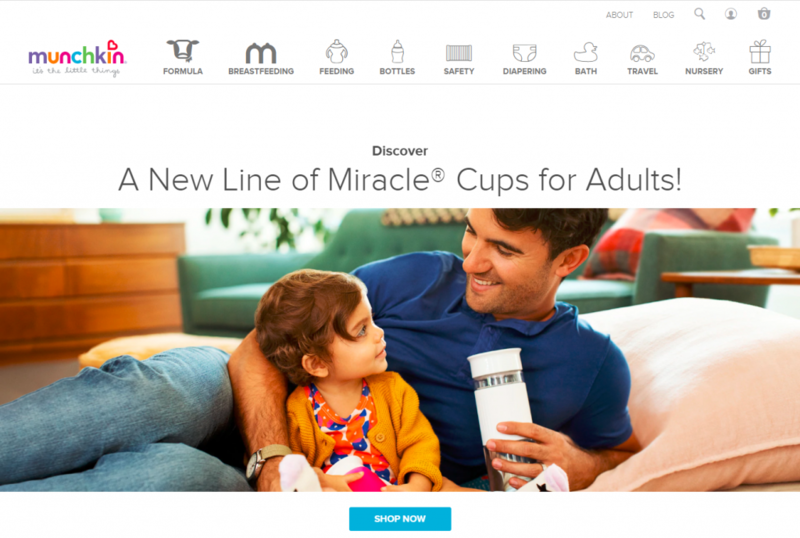 Home » Why Magento is the perfect eCommerce platform for your online B2B business growth? 93% of B2B buyers prefer to purchase directly online. Magento Commerce, the cloud platform that gives you the power to create a unique and fascinating shopping experience. For over 10 years, Magento has established itself as the most popular eCommerce platform, with the global ecosystem of development partners and a handful of marketplace extensions – Magento gives you a truly feature-rich, out of the box functionalities that help you to envision your Commerce business. Magento Open Source, formerly the community edition is an open-source platform originally launched in 2008. Unlike being restricted like the SaaS model, every individual, and small business owners can easily download and have unrestricted access to the platform. The open source edition helps the startup to set up the eCommerce web store and to easily manage everything with barely minimal costs. Added, this edition of Magento is backed by a huge community of developers worldwide with extensions to optimize the user experience of the store. Magento Cloud Commerce, formerly Enterprise Cloud Edition is a managed and automated hosting in cloud infrastructure. The enterprise platform can be hosted on-prem or on the cloud. Enterprise businesses with huge product catalogs, complex B2B functionalities, custom traffic, and a global presence can take advantage of the Commerce cloud platform. Some of the exclusive features include Elasticsearch, Bluefoot CMS, Order Management, Content staging and preview, OOTB B2B functionality. Download a pdf version of the Magento open source vs Commerce Cloud comparison chart here. Do you know, in 2018, Magento handled $155 Billion GMV. Magento offers two packages (can vary based on your revenue), Magento Commerce Starter and Pro. With pricing of $2000/mo and $3,417/mo respectively. You can request a product demo and pricing quote directly to Magento here. Magento by default supports some of the major integrations (including but not limited to) – Embedded ERP, Bank payment, eBay, WebshopApps Matrix Rate, PayOne, Cash on Delivery, Ship Works, Mage monkey, Mailchimp, Mandrill, OSCommerce, Correios, Fontis Australia, Beetailer, Debit Payment, Migra Shop, SOFORT, AddThis, Worldpay, Facebook, Twitter, ePay, Searchanise, GoMage, Open ERP, Social, DHL, Bcash, Ingenico, Zopim Live Chat. 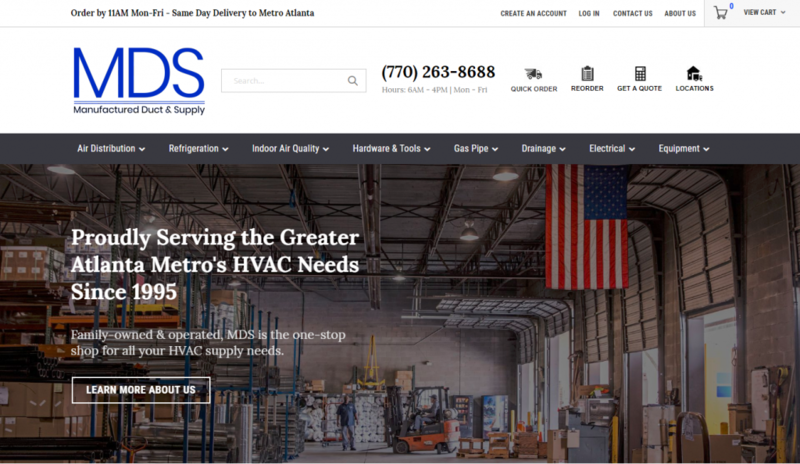 Manufactured Duct and Supply, a wholesale HVACR (Heating Ventilation Air Conditioning and Refrigeration) supply company is headquartered in Doraville, with two satellite warehouses in Duluth and Marietta. From humble beginnings, MDS has expanded significantly; now have a combined 70,000 square feet of warehouse space, eight delivery trucks, and a fully operational duct board shop. They supply contractors throughout the metro Atlanta area and the Southeast with residential and light commercial HVAC supplies. Learn more about how we helped them here. Founded in 1991, Munchkin is all about parenting. With the right amount of white space, balanced with vivid splashes of color and easy to read typesetting make the navigation a breeze. Product pages do come with handy downloadable instructions. Like the tagline says, it is all about the little things. Founded in 1984, Bjorn Borg is a Swedish sports fashion brand that makes colorful fashion underwear and sportswear designed to make the consumers look and feel active & attractive. The international fashion brand also offers adjacent products including, bags, footwear, eyewear, and fragrances. 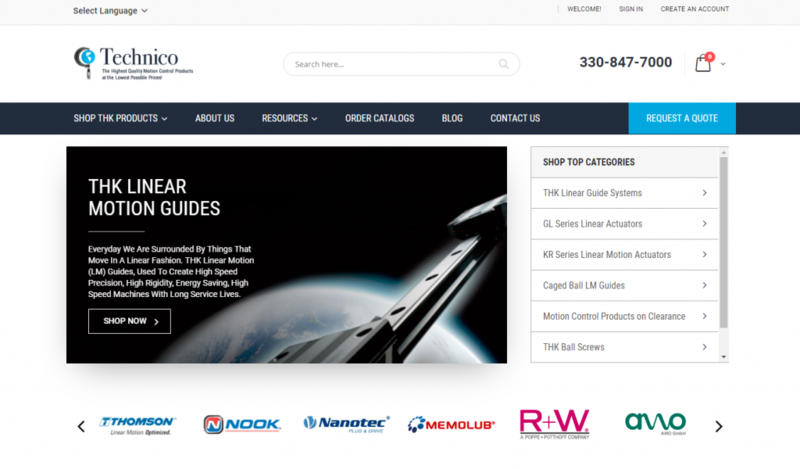 Technico, is an established THK sales and distribution organization, offering THK motion control products and services required for industrial automation applications. The organization offers complete sales and support staff to assist customers with all of their motion control needs. Incorporated in 1986, their staff consists of outside sales, engineering services and Inside Sales specialists in THK motion control products. Technico also has warehouse and machine shop associates who provide inventory, shipping, receiving, assembly and machining services on site. Technico owns and occupies a 10,000 sq. ft. building, 8,000 of which is warehouse space. Specialized in offering a broad range of automation technologies to OEMs in a wide variety of industries. Primary industrial applications include machine tool, metalworking, automotive, automation, transfer equipment, glass, robotics, tire and rubber, medical, injection molding, pick and place, press, steel mill equipment, packaging, and special machinery, among others. Sugarfina is a gourmet candy boutique for adults, featuring the finest, highest-quality sweets from around the world. Known for their cocktail-inspired confections such as Champagne Bears, Peach Bellini gummies and Single-Malt Scotch Cordials, Sugarfina has become the destination for luxury gifting and events. 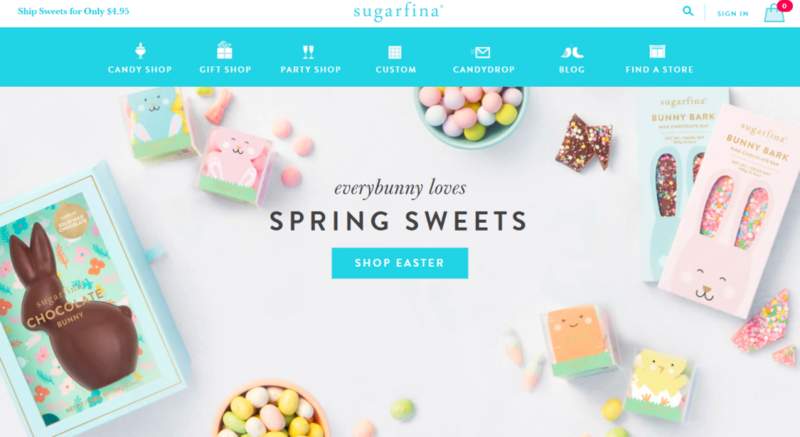 More than three-quarters of the collections are exclusive to Sugarfina in the U.S. Learn more about how we helped them here. Still looking for a Magento Product Configurator? We could be your next partner! Check out our Magento Customization offerings. PWA studio helps the merchants to create fast and engaging next-generation mobile shopping experiences to boost the conversion and increase engagement. With a powerful app-like browsing experience this emergent Progressive Web App technology is set to lead today’s tech-savvy shopper. So, how do I start with PWA? If you’re an agency, merchant or a developer check out this Magento PWA documentation. If you’re looking to learn more about PWA and its features and see how to deliver a rich user experience, check out this blog. Still not sure which platform to choose or have questions on how Magento can leverage your online business? Contact us to talk to one of our solution specialists.